Get a great price on the Wismec Luxotic MF from Vapor DNA. The Wismec Luxotic MF kit comes in a square cardboard box with a plasticized picture of the Luxotic MF mod and the included Guillotine V2 RDA on the front, and a long list of contents, company information as well as a scratch and check authenticity sticker on the back. Inside the box, you’ll find the Luxotic MF mod with the Guillotine v2 screwed on, as well as lots of accessories. Apart from user manuals for both the mod and the RDA, you also get a bag of Japanese organic cotton, two different style 810 drip tips (both made of Ultem), a silicone battery sleeve, a battery adapter, a battery connector that turns the device from a single battery squonker into a dual battery vape mod, two pre-made coils fro the RDA, and lots of o-rings and spare screws. One thing that also case in my reviewer’s kit but won’t be included in the commercial version of the kit is the interchangeable circuit board. One of the things that sets the Luxotic MF apart from any other mod I’ve ever reviewed is that it allows users to take it apart and replace the board with a different one. Normally, you would buy the kit with just one of the boards included and buy the other separately, if you so desired, but they were kind enough to provide both boards to reviewers, so I got to play DIY. The Luxotic MF vape mod is made primarily of zinc alloy and measures 47.5mm x 27.6mm x 87mm. It weighs 182 grams with no batteries included, but that weight varies differently depending on what battery configuration you are using it in. At first glance, it doesn’t look like Wismec took too many chances when designing the Luxotic MF. It’s a nice looking mod, but it reminds me of so many other regulated box mods, it would take me a while just to list them all. The freshest one in my mind is the Dovpo Vee, but the list of similar devices is pretty long. However, where the Luxotic MF really shines is on the inside, particularly in the battery configuration department. 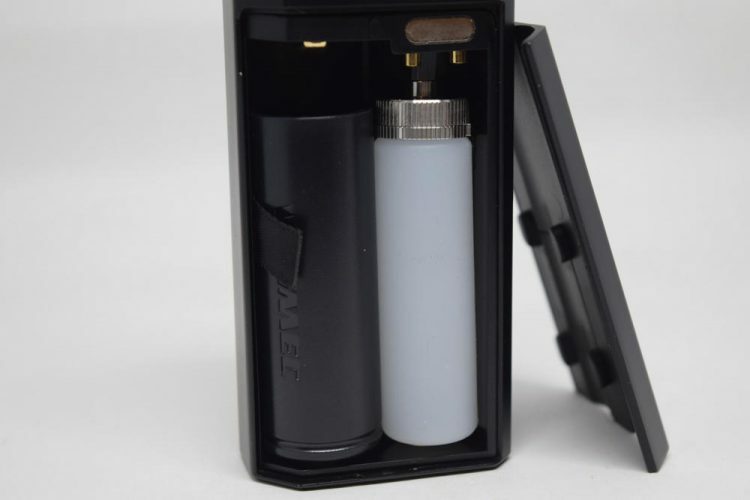 By default, the Wismec Luxotic MF can be used as a single battery regulated squonk mod, with a 21700 battery inserted next to the silicone squonk bottle. 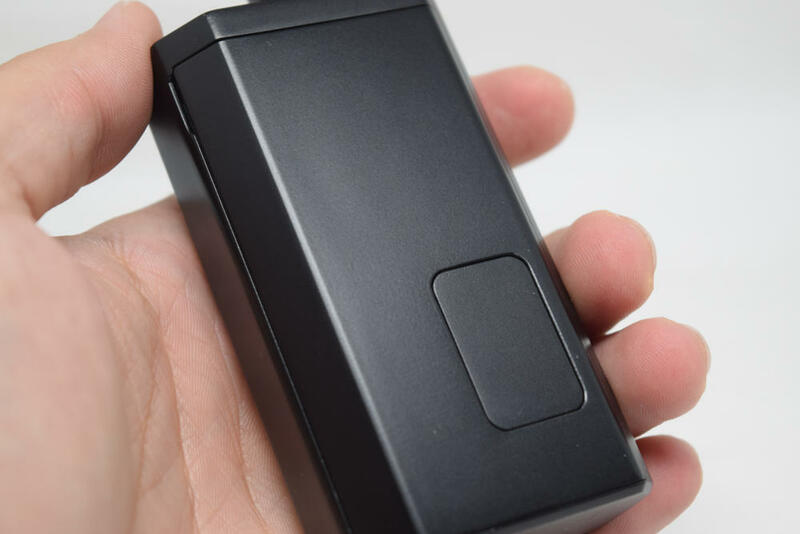 But you can also use it with a 20700 battery, although you might here a bit of rattling inside the device, or a single 18650 battery, by using the included battery adapter. But it gets better – the Luxotic MF can be used in dual-battery mode as well. Just take out the squonk bottle, place the included battery connector at the top, and insert two 18650 batteries by respecting the polarity markings on the battery compartments. To make sure there’s no rattling, use the silicone battery sleeve on the left battery and achieve the same diameter as the 21700 battery that usually goes into that slot. 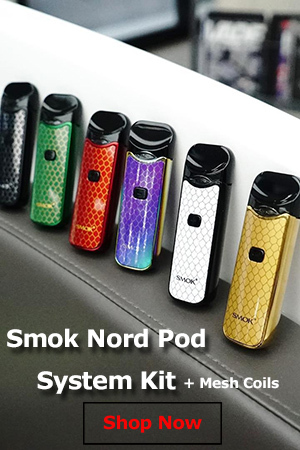 As you can see, there are many battery configurations you can try and this is definitely one of the main strengths of this device, although I do have one con to mention – when using it in dual 18650 battery mode, the metallic battery door doesn’t sit flush on the mod. 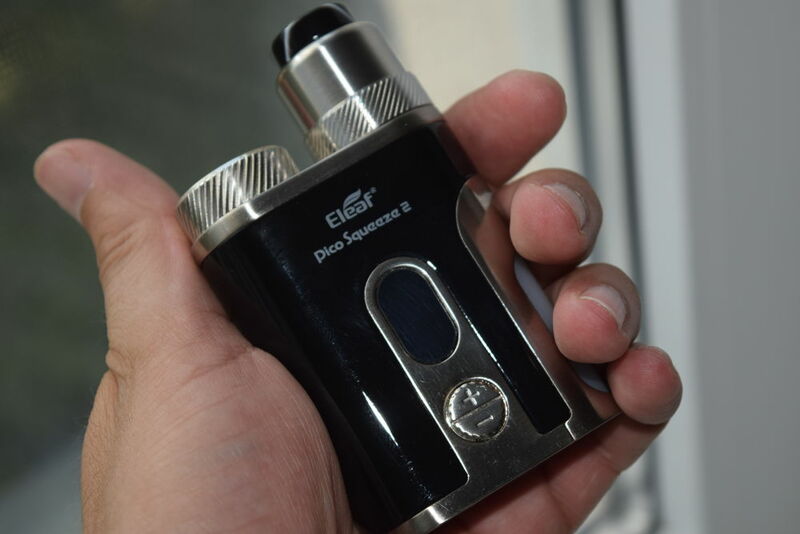 There’s actually a pretty big gap between it and the mod, and you can even feel it in the hand. The door has never come off, but it’s definitely something that could have been prevented, so to me it’s a serious con. Another questionable design idea was the small cutout in the metallic battery door, through which you are supposed to press the squonk bottle with your thumb. It’s way too small, and even aguy with small hands like myself sometimes has problems pressing on the bottle without scraping by thumb on the metallic edges of that window. Wismec also included a small magnetic plug for this window, which attaches from the inside. You can also use it when you’re squonking, but I don’t recommend you do that as it’s sharp corners can scrape the wrapping on the batteries when you press the metallic plug against the squonk bottle. I personally only use it to conceal the second battery when using the mod in dual-battery mode. The Wismec Luxotic MF kit includes only one silicone squonk bottle that holds up to 7 ml of e-liquid. The metallic cap is offset, with the rubber straw coming out of it being located to one side rather than in the center, so you want to make sure to keep that in mind when connecting it to the hollow 510 pin of the mod. Because of this offset design, this mod is not compatible with a lot of other squonk bottles, although I’m sure you can find some that fit. The Luxotic MF features a classic 510 connection with a spring-loaded, gold-plated pin. 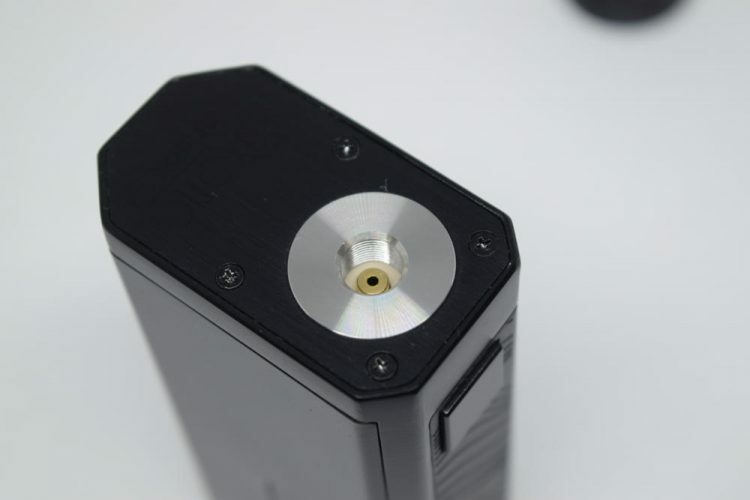 The hollow pin is inserted by default, but you can replace it with the standard, non-squonking one included in the kit, by unscrewing the four screws keeping the connection in place, and accessing it from underneath the protective plate. On the downside, the 510 connection is really close to the side, so any atomizer over 25mm in diameter will overhang. 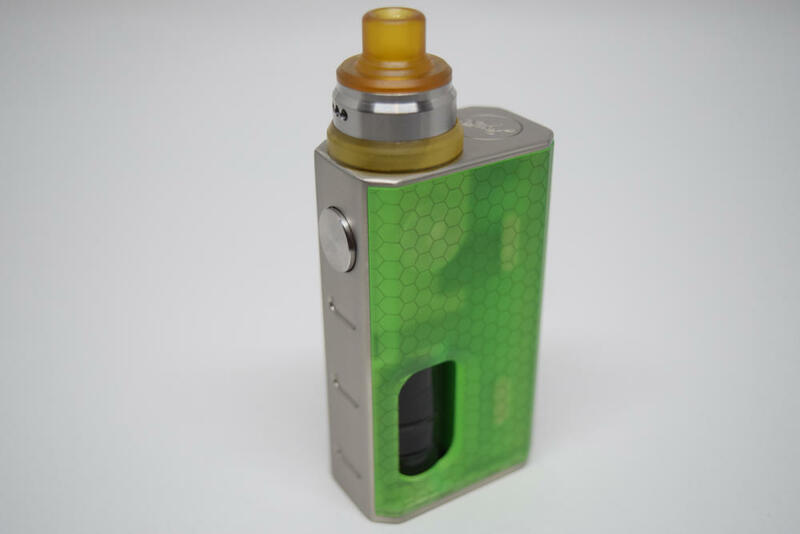 Unfortunately, a centered connection is not compatible with squonk mods, so you really can’t count this as a con. The fire button is a metallic square that has this hollow clickiness to it that I don’t particularly like very much. There’s nothing wrong with it, it fire fire, but I just prefer my button to be firmer and clicker. 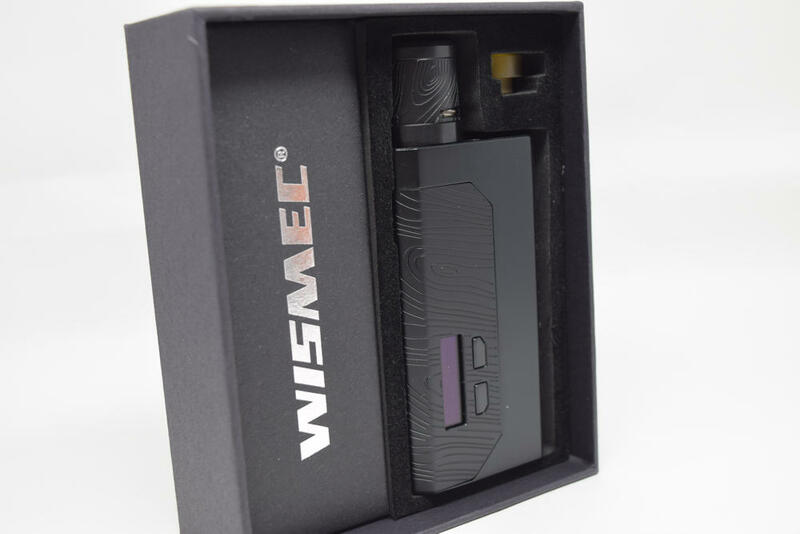 On the side opposite the battery door we have the adjustment buttons, and depending on which interchangeable board you have installed, either a small rectangular display or just a piece of plastic that says “Wismec”. Neither are very impressive to be honest, but if I were to choose, I would definitely go for the regulated circuit board with the display, even though it’s small and outdated. It provides more customization options, and it actually features a Bypass Mode which essentially lets you use the mod the same way you would with the Direct Output Board. One of the major features of the Luxotix MF is the interchangeable “Avatar Controls” boards. Most people will probably stick with the one they bought originally, but just in case Wismec ends up releasing some interesting board you’ll want to try, here’s how to replace the board it comes with: all you have to do is unscrew the top and bottom corner screws holding the detachable face plate in place. Once you did that, you can remove the face plate (the one with the wood grain pattern on it) and expose the board. You then have to unscrew seven more golden screws that keep it in place, remove it from the mod and simply replace it with your other one and put all the screws back together. It’s actually as easy as it sounds, although I’m not entirely sure if that’s a good thing. I understand that allowing users to tinker with the inner components of the mod is a sort of ultimate customization, but on the other hand, do you really want people messing around with electronic components? It seems kind of overkill in my opinion, and in some cases, it may even prove dangerous. Overall, the Wismec Luxotic MF is a solid mod with some interesting design choices, especially on the inside. The battery compatibility options are probably its main strong points, but for people who love tinkering with electronics, the possibility to switch boards may be attractive as well. 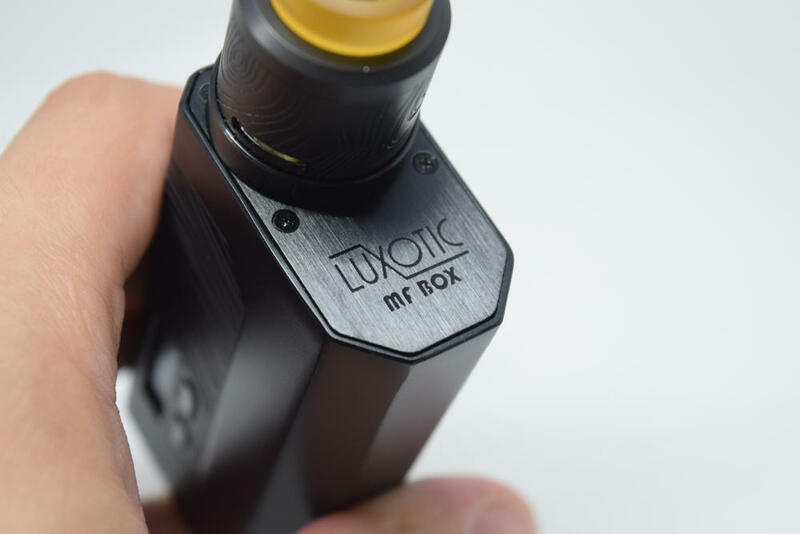 This section should only be of interest to you if you’ve chosen or plan to buy the Luxotic MF with the Variable Voltage Board, as the Direct Output one simply draws power straight from the batteries and doesn’t feature any operating modes or settings. To turn on the Luxotic MF, simply press the fire button five times in rapid succession. To access the Modes menu, press the fire button three times while the vape mod is turned on. Here you will find the usual operating modes: Wattage, Temperature Control for three different materials (stainless steel, nickel and titanium), three customizable Memory Modes, and a Bypass Mode. This last one is really interesting, becomes it basically allows you to use the mod as you would with the Direct Output Board installed. So what’s the point of creating a separate board that does something already available on the other board? Well, it seems the answer is price. It turns out that if you opt for the Wismec Luxotic MF kit or mod with the Direct Output Board installed, it’s about $15 cheaper than the one with the Variable Voltage Board. On the other hand, having all those operating modes available, as well as a small but bright display is definitely worth the extra $15 if you ask me. There are also some button combinations, like pressing the ‘-‘ and ‘+’ buttons simultaneously to lock and unlock the device, or pressing the fire button and the ‘-‘ button to select what subparameter to display on screen (from puff counter, puff timer and amperage), and pressing the fire button and the ‘+’ button to toggle Stealth Mode on and off. 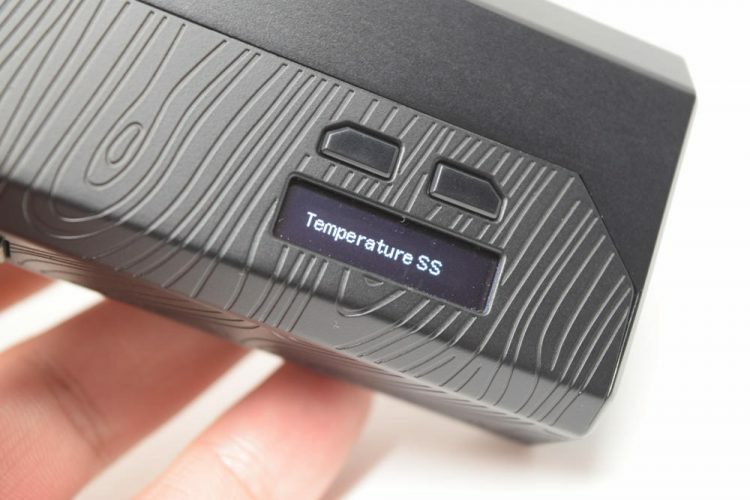 This is definitely not the most advanced or feature-rich menu system I have ever seen on a vape mod, in fact it’s one of the most outdated I’ve seen in a while, but for a squonk mod, it’s about as good as it gets right now. Plus the display is extremely bright, which is always a pro in my book. 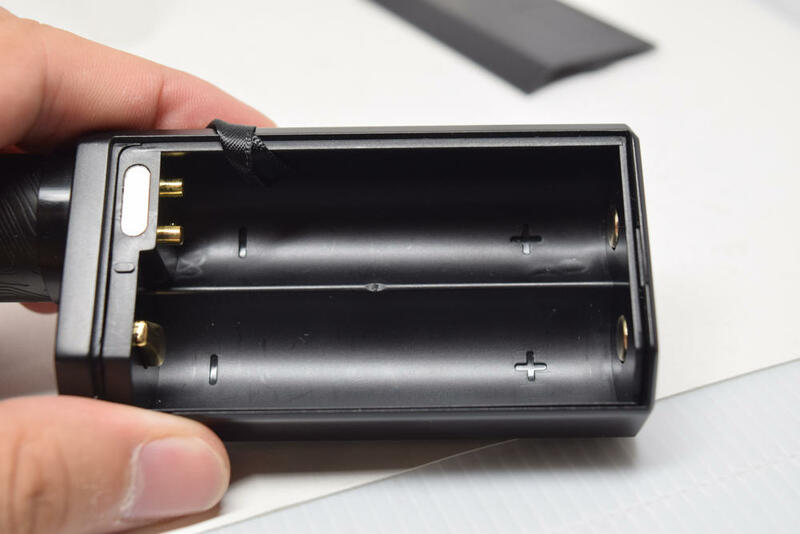 Obviously, battery life will vary greatly, depending on what battery configuration you are using it in as well as the capacity of your battery/batteries. 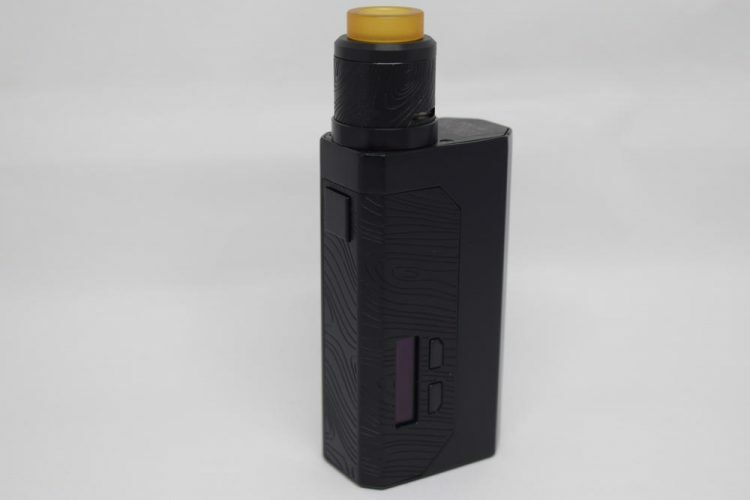 If you plan on using the Luxotic MF vape mod for squonking, I highly suggest going for a 21700 battery as that will give you the most battery life, but if squonking isn’t your thing, a dual 18650 battery setup is the optimal choice. Performance-wise, I have had absolutely no issues with this mod, either in squonk mod or dual-battery mode. It fires almost instantly, the power ramp up is ok, although I do wish some sort of pre-heat option was available, and I’ve noticed no unusual errors. The Luxotic MF has a max power output of 100W, which is pretty much the most you can get out of a single-battery vape mod. 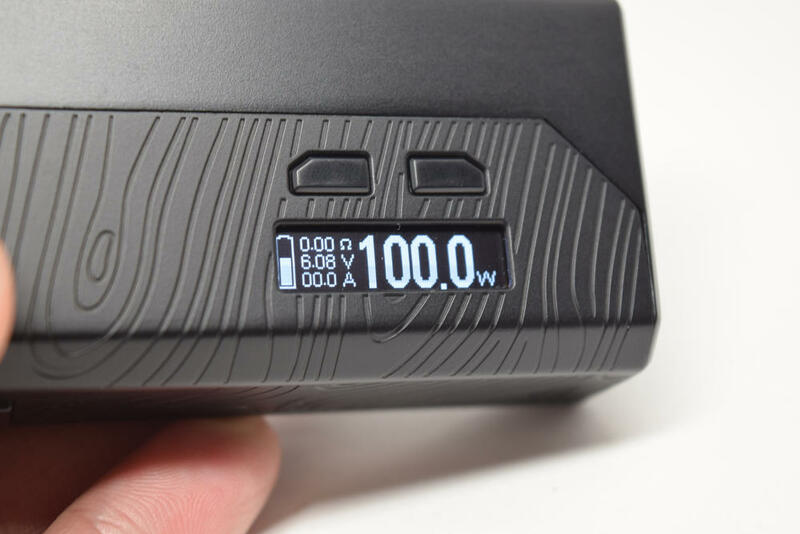 The vast majority of vapers vape at under 100W anyway, so this should be enough for just about everyone looking for a solid squonk mod with loads of battery compatibility options. 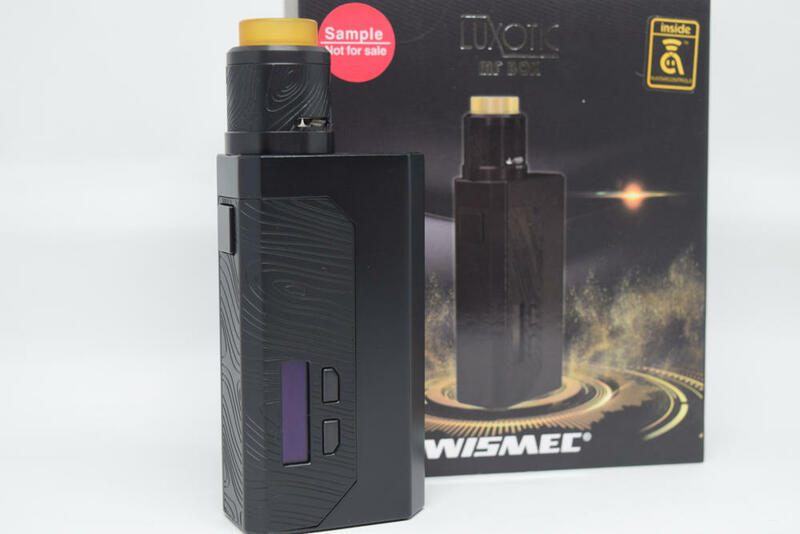 This kit also came with the Guillotine V2 RDA, but since I already talked about it in my review of the Wismec Luxotic NC, you can check that out if you’re interested. 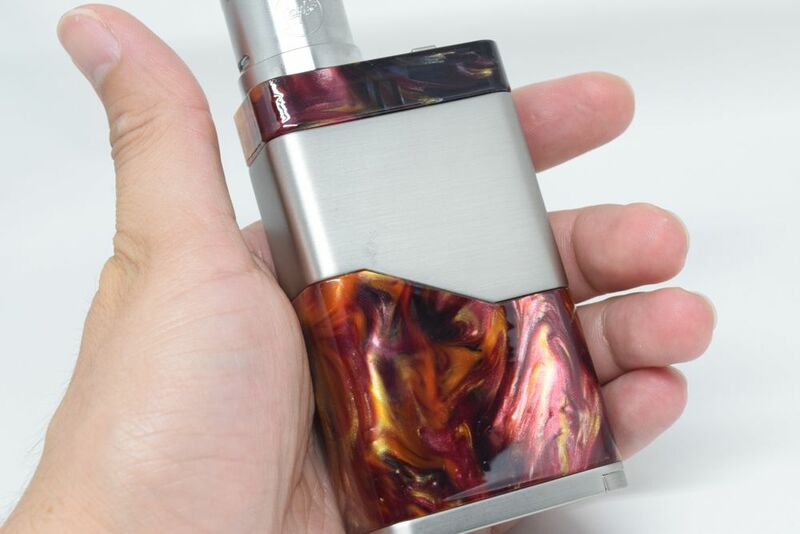 The Luxotic MF vape mod is another interesting, if somewhat unusual device, which has kind of become the norm for Wismec’s Luxotic line. First we had the elegant Luxotic BF squonk mod, with its built in protection chip, then Wismec completely changed it up with the Luxotic NC, a pseudo-mechanical mod that could be used in parallel and series mode, and now we have the MF, which allows people to switch these interchangeable boards. This line is all over the place right now and I have no idea what Wisemc will come up with next. I’m curious to find out, though, that’s for sure! Would I recommend you buy the Luxotic MF? That depends. 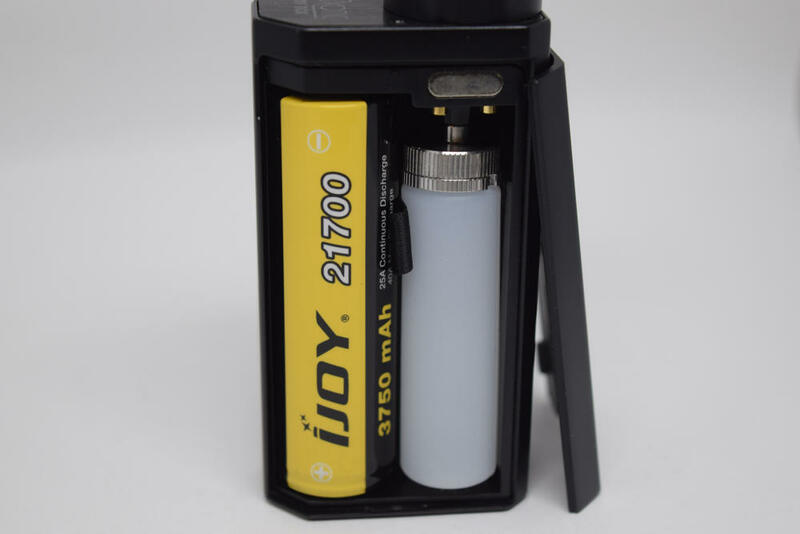 If you’re the kind of vaper who appreciates multiple battery compatibility options and also squonks every once in a while, this is definitely an interesting vape mod. As for the interchangeable boards feature, I for one don’t really see the appeal, especially since one of the boards does everything the other one does anyway, and has other built in features, and a display, for just $15 extra. 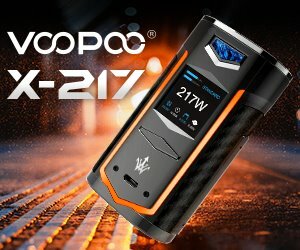 The Wismec Luxotic MF kit was sent to me for the purpose of this review by VapeSourcing. They currently have both the variable voltage and direct output variants available for $77.20 and $65.80.